This luxury limestone floor has a mellow satin surface finish which offers a lovely backdrop in high quality interiors. These stone tiles are made of hard limestone which is suitable for commercial and domestic situations. 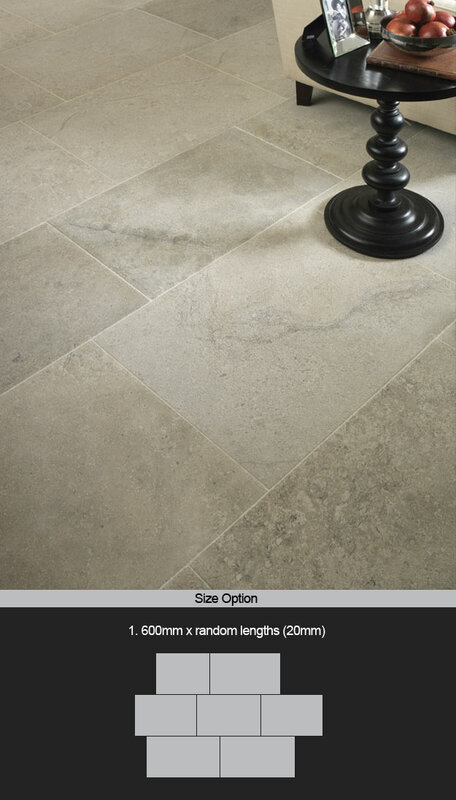 Each natural stone floor tile has unique figuring with attractive seashell markings and line veining, all in a silvery grey beige colouring. * Very hard wearing stone. * Stone tile 20mm thick.